Today I'm excited to announce that I have release my first "big" knitting pattern. The Sporty Cardigan for Boys and Girls comes in 10 sizes from newborn through to 12 years. The cardigan is designed with active kids in mind and it is slightly over-sized to allow for growing room. 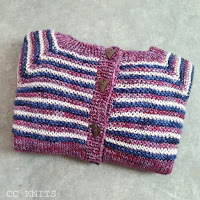 The cardigan is designed for sport weight yarn, but at closer to a DK gauge (several of my pattern testers successfully knitted it in DK weight yarn). 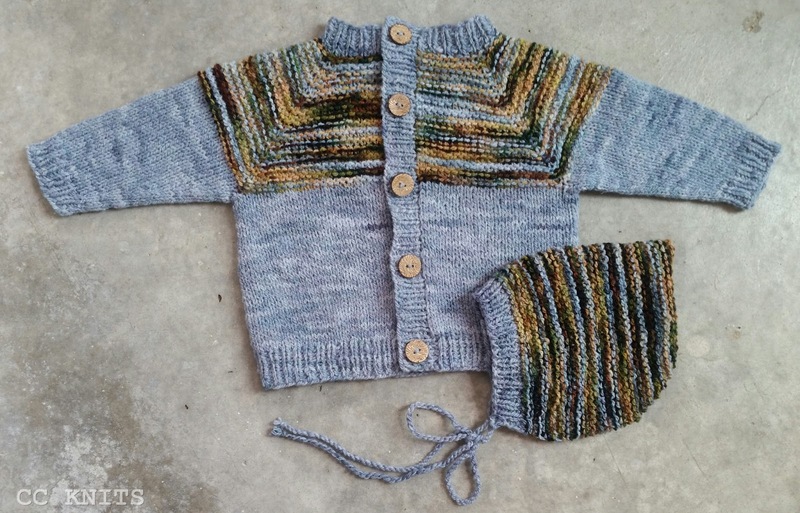 I designed the cardigan because I wanted to make a light weight sweater for my daughter to wear when in cool air conditioned environments, like the theater or cinema. I couldn't find a pattern I really loved so ended up making my own. I started working on this in February and finally issued it today, pattern design can be a bit of a lengthy process and the pattern editing can be a wee bit tedious. Very very happy to finally be done with this one! Here are some photos from a little photo shoot I had with my daughter in the garden yesterday. This is a 6 year size shown on a slim 5 year old. I expect it to fit for a couple of years. I also made a 3 month size version for my best friends new baby boy, including a matching bonnet. The bonnet pattern can be found here, it comes in sizes newborn to 4 years. 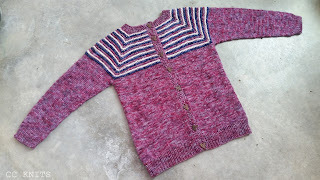 The Sporty Cardigan pattern can be found in both my Ravelry Store and my Etsy Store. The pink cardi is knitted in three different hand dyed semi-solids by the super talented indie dyer at Mosaic Moon. Laurel Sport is a super soft superwash merino yarns, one of my go to yarns. The names of these semi's are Cadence (MY Little Pony inspiration), Flora Navy (actually a trim for the Flora colorway) and Exhale (which I believe was a club yarn in Mosaic Moon's monthly semi-solid club). 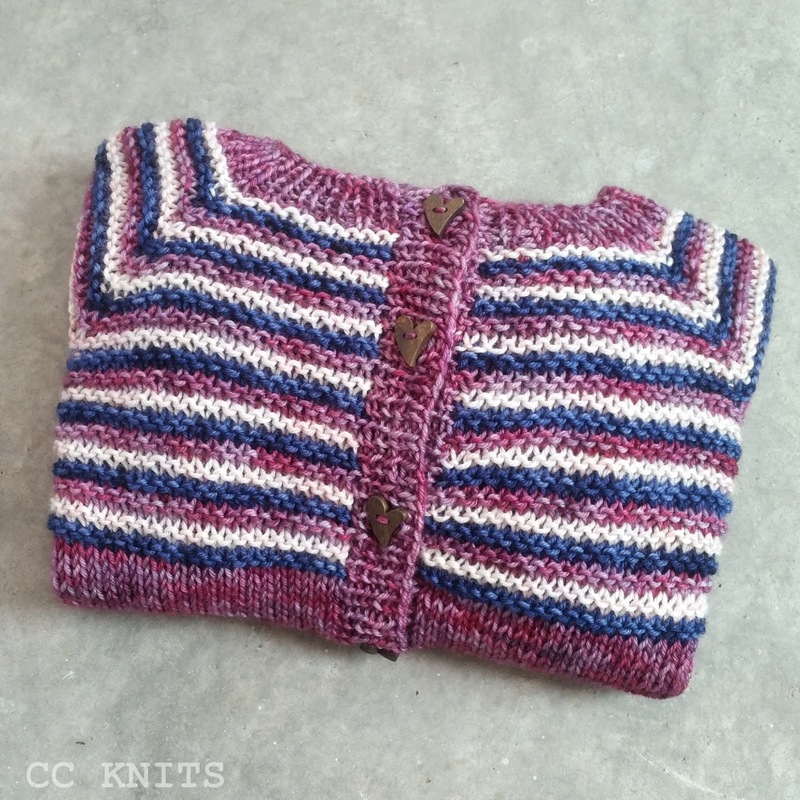 The blue baby cardi is also knitted in Mosaic Moon yarn, Meadowsweet Sport. Another one of my favourite yarns, 100% non-superwash rambouillet wool. It's got a rustic look, a cottony feel, soft and sturdy. 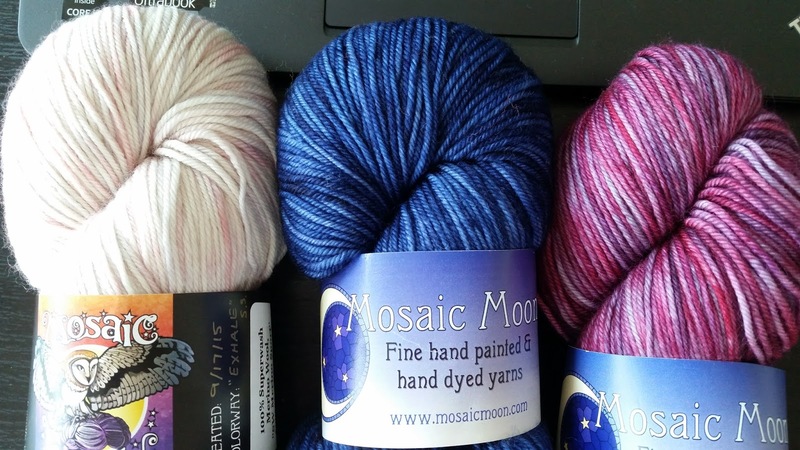 The colorway is called Impossibe Girl and the matching semi-solid is called Mists of London, colorway and semi inspired by the Dr. Who TV-show. It's really professional knitting and good design, to be honest, I really like your masterpiece.